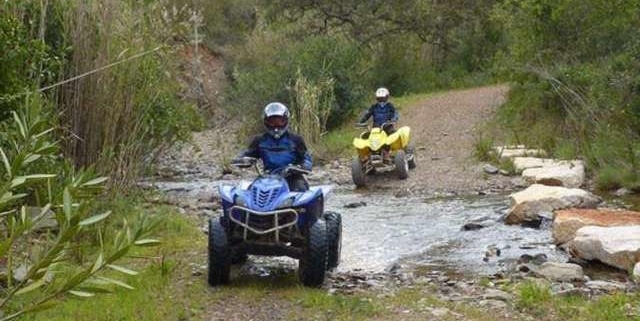 Tourist information and guide to quad and buggy from Santa Ponsa, Majorca, Spain. 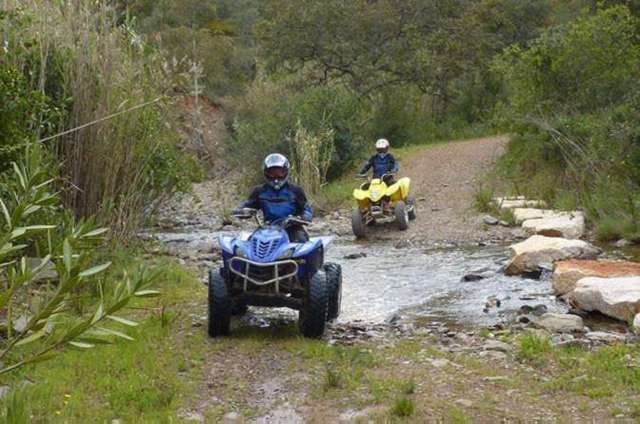 Quad safari in Santa Ponsa is also a fun day out activity, off-road or beach quad fun and adventure made through the beaches, Paguera to the Galilea mountains and zip line through Galatzó reserve. It is also one of the best things to do in Santa Ponsa. You may experience and enjoy the beautiful views of Southern Majorca, fun-filled 3.5-hour off-road route through pine forests and over streams and dry stones, Cala Figuera beach in Portals Vells. There you may relax and snorkel in the bay’s crystal-clear waters in southwest Mallorca’s three fingers. The quads are with a snorkel, so you may take the opportunity to explore the fish and kelp forests of this diverse underwater landscape. After a short break, then you may see the pirate cave hidden amongst the rocks and than you may travel back through the forest to your departure point. Other option is to take 4-hour off-road tour and rumble through rugged rocky terrain filled with steep slopes. And than you climb through Paguera to Galilea and reach the Galatzó reserve, that is a natural park with private access. Here you may round out your trip by taking a zip line across the park. There you may take a break and than return to departure point through Finca Galatzó.